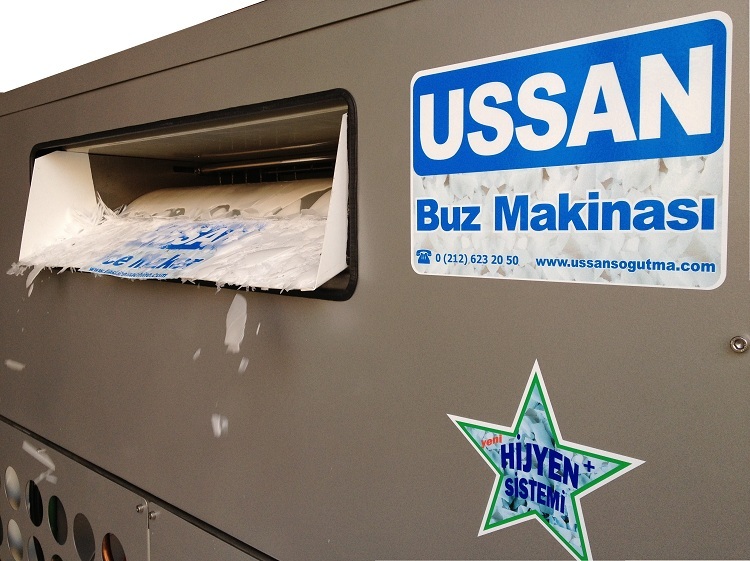 USSAN Refrigeration was established under the title of URKMEZ Refrigeration, in 1985. 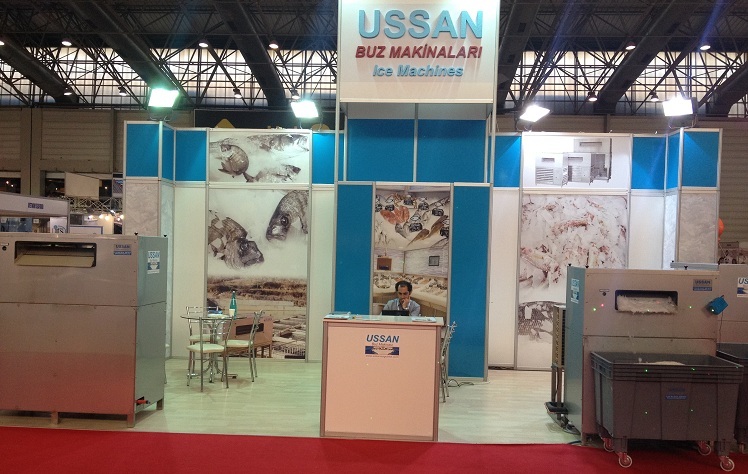 Our company is active as Ussan Ice Machine trade name at ice makers and ice technologies area in Istanbul. 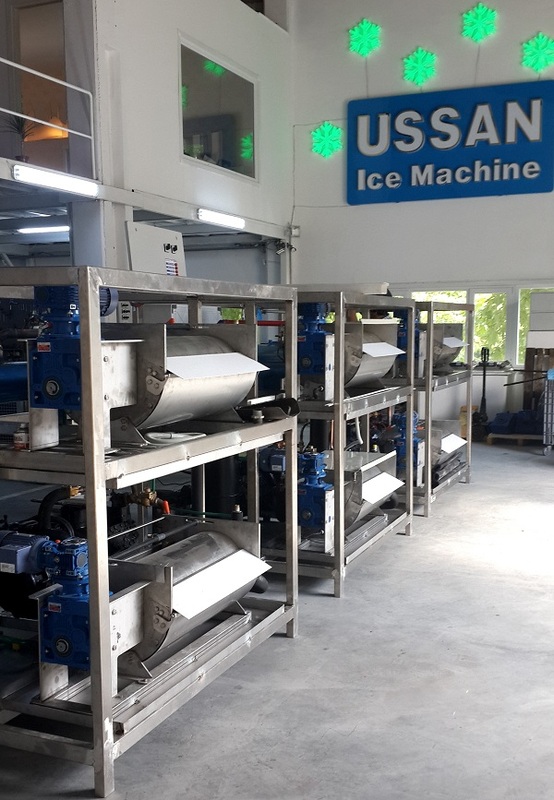 USSAN has taken on supplying service for its world wide customers as a duty by protecting its sensitivity on the Ice Machinery and ice facilities that it produces, specially on its design on Research & Development, quality, service, technical staff and engineering. 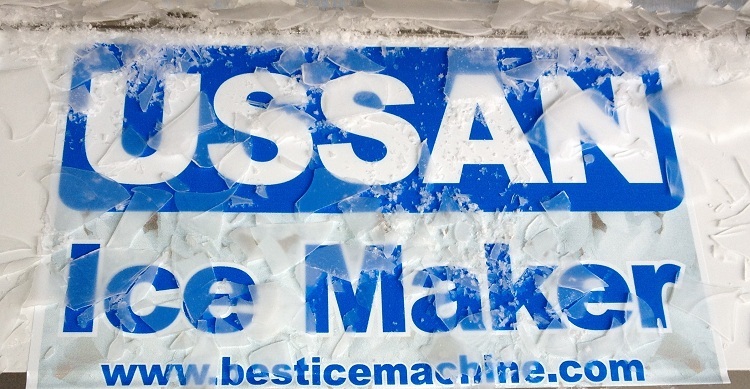 The ice machinery we produce under the brand name of Ussan Ice Machine: Flake ice machine makes production of broken ice in form of flake. Ice thickness is about 2 mm. Ice machinery have different capacities as fresh water and sea water. Our 6 different models with capacity ranging between 1 ton per day and 7.5 tons per day are available. Flake ice machine can be produced as split and mono block. The entire ice evaporator and everywhere in which water circulates are made of inox stainless metal. The water tank in cylindirical form of the ice machine is inox; and dismantled and cleaned practically. Because of these two characteristics, the Ice Machine is called as Hygiene Type Flake Ice Machine or hygienic ice maker. Ice shot - ice cup Ice Machine : Ussan ice shot-ice cup ice maker full automatically produces ice cup made of ice. According to its two different ice cup ice shot production number per day, its two capacities are available. Crystal Ice Ball Ice Machine : It produces ice in form of sphere, ball; and ices in form of crystal (transparent) are as big as that can fit into a tumbler, normally. Crystal globe ice outputs from Ussan ball ice machine is put into tumbler as one piece. The machine automatically produces hygienic crystal ball ice. Block Ice Machine : Ussan block ice machine full automatically takes the water in itself; and periodically out puts the ice itself in multi molds. Salted refrigerant never mixes into icy water. Molds of block ice machine are made of fully inox stainless. The hygiene type runs with indirect refrigerant. Ussan carries out its authentic professional manufacturing in Ice Machine area with its leader technical staff at its own machine park in Istanbul.